After formal consultation between November 2017 and February 2018, a new Short Breaks Eligibility Criteria and Offer was approved. From April 2019 the new criteria and offer is effective. Short Breaks provide children and young people with disabilities or additional needs an opportunity to spend time away from their parents, engage in fun activities and enjoy time with their friends. They offer parents/carers a break from their caring responsibilities and time to spend with other family members and to catch-up on other daily tasks. There are 4 tiers of support offered through the Short Breaks Programme, available dependent on the level of need arising from the impact of a child’s disability. These are: Low, Medium, Substantial and Complex. The Southampton Short Break Statement provides more detailed information on the current range of short break services, the eligibility criteria and how to access them. 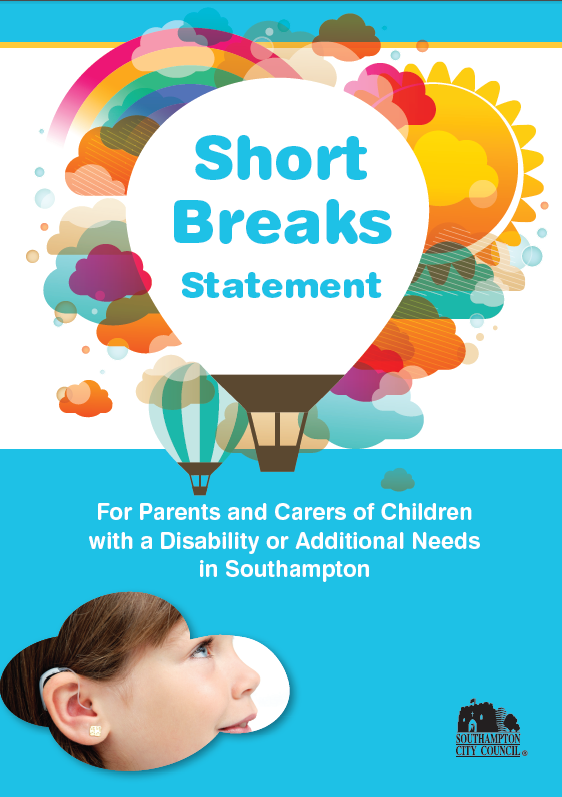 Southampton City Council, working in partnership with Southampton Parent Carer Forum, have reviewed the Short Breaks Offer and have updated this document. This can be found under ‘related links’ on this page, or by scrolling further down this page. Children who have low levels of additional needs are able to access universal services. The suite of mainstream clubs and activities in and around Southampton is available on the Southampton Information Directory. Families who are in receipt of disability living allowance but not receiving an individual package of support via services at the substantial and complex level will have access to a Short Breaks card which offers easy access a range of concessions or discounts negotiated across the city. This recognises that these children are able to access the majority of services available to all children. Additionally, the MAX Card PLUS will offer booking rights into subsidised activities, in and around Southampton. Family’s needs who are assessed to be substantial will be supported through the relevant social care team. These teams will be able to complete a short breaks assessment and if eligible the family will receive an individual package of support through a Personal Budget. Families open to the JIGSAW Children with Disabilities Team will have an assessment of needs and if eligible will receive an individualised Short Breaks package of support through a Personal Budget.